Ramadan has come to an end for this year. But the good deeds that we have been doing during the month of Ramadan must not end; it must continue till the next Ramadan. Fasting is the essence of all worship and it enables man to accomplish all his obligations towards others and also to Allah in a perfect manner. 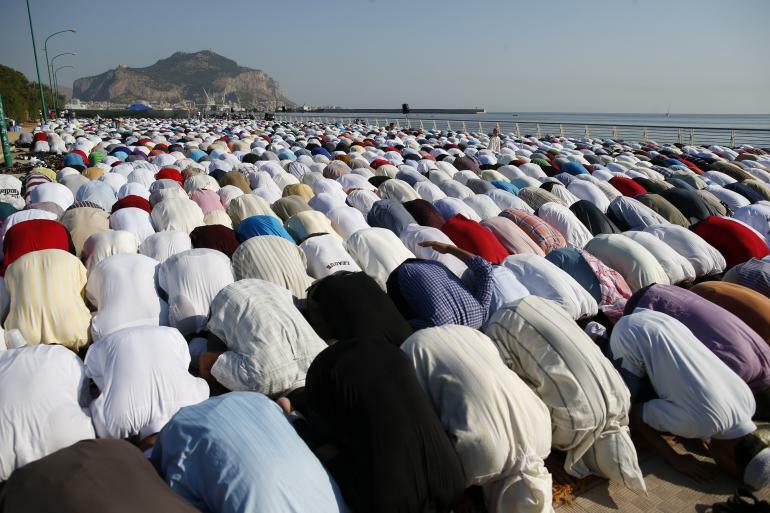 During the Ramadan, the members of the Jamaat Ul Sahih Al Islam have elevated their level of prayers (Salat/Namaz) as well as getting up early to partake of the Sehri to start their fast. Likewise, this practice must continue, whereby we get up early for the Tahajjud, perform the Salat-ul-Fajr on time and delve in the recitation of the Holy Quran in the morning which is specially rewarding in terms of blessings. Unfortunately, for those still alive and have got the opportunity to live this blessed month, but who have not reaped any profit/benefit and have not received any divine blessing, then let them bear in mind that their lives have gone to waste when they do not observe that blessed month as it should be done. Furthermore, how can they be happy today, Eid Day when they have let these exceptional days slip out of their hands? When the fast is neglected for no valid reason, this is verily a serious matter (a failure on the part of Muslims). How can these people be happy today when they have not established all the acts of worship in Ramadan like it should have been? Therefore, each person who says that he believes (in Allah and all tenets of Islam), that he is a believer, therefore he must put into practice all good intentions that he holds, and he must absolutely not miss to seek the divine blessings during the month of Ramadan. To this end he must supplicate Allah in such a way that all in heavens can hear also, and whereby the angels diffuse these supplications throughout the entire world. 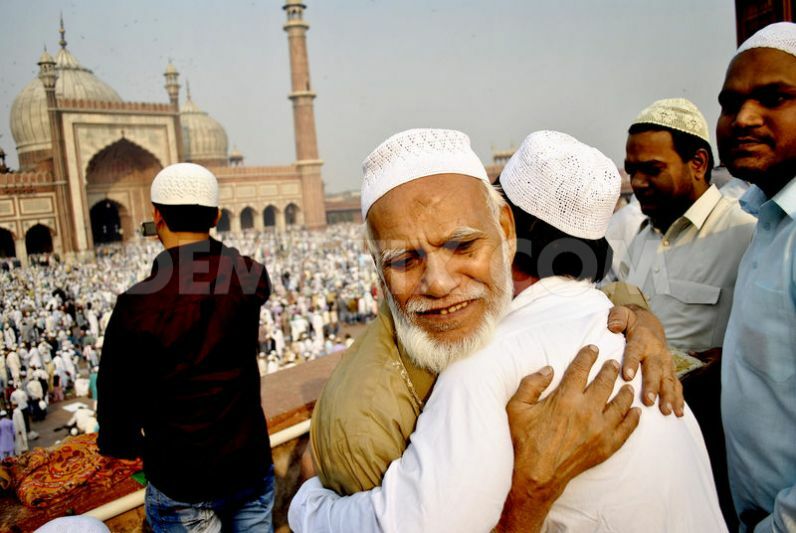 Eid Day is for those who have spent a month in the obedience of Allah; they have shunned all that was not permissible for them; they left all, showing their love, and obedience only to Allah. For those who have submitted totally to Him, and have spent the month in sacrifice for the sake of Allah, then Almighty Allah gives them an Eid Day; a day of joy for those who spent the blessed month in the obedience of Allah the Almighty. Eid-ul-Fitr is the gift of Allah to Muslims to reward them for their endurance as well as their obedience and devotion to Him during Ramadan. Since fasting is obligatory on all Muslims during Ramadan, celebrating Eid is incumbent upon them as a community (one Ummah). It is the occasion offered to them to enjoy divine favours, to rejoice, to wear their best, to be at their best and to eat and drink what best has been prepared for it is expressly forbidden to fast on this festive day. But as always in Islam, all in spirit of moderation! Eid-ul-Fitr is a day of peace and blessing; it is a day of sharing; it is also a day celebrated in the warmth of the family. The festivities of Eid-ul-Fitr commence with thanksgiving, assemble in the mosques in the early morning, prayer is offered and a special sermon is delivered, often on the theme of the gains obtained in the outgoing blessed month of Ramadan and the efforts which one and all must make to keep up with the good habits and the mode of behaviours that Ramadan has helped to achieve. Thereafter greetings are exchanged, visits are paid to friends and relatives, the young visiting the elders, gifts are offered to children, dainties are shared especially with neighbours; in certain families, there exists the tradition of visiting the dear departed ones (in cemeteries) to invoke the Almighty’s blessings on their souls. The heart is also a great symbol related to many interpretations, including: The dwelling of faith and of knowledge, understanding, thinking, feelings etc. The heart is described by scientists as the king of organs; it is the seat of the sincerity of a person, without which none of his actions are accepted. Several hadiths explicitly cite the supremacy of the heart. The Holy Prophet (pbuh) said: “Surely there is in the body a small piece of flesh; if it is in good condition the whole body is in good condition, and if it is corrupt the whole body is corrupt and that is the heart.” (Bukhari). He (pbuh) also said: “Surely Allah does not look at your bodies nor your faces but He looks at your hearts.” (Muslim). 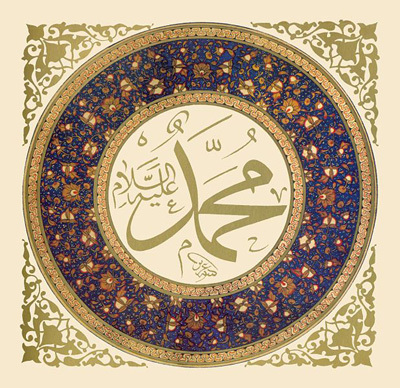 Wabisah Ibn Ma’bad (ra) said: “I once went to the Messenger of God (pbuh) and he said:"
Freedom of religion in any civilized society includes the fundamental human rights to profess, practice and preach one's spiritual convictions, regardless of whether the State or other persons in society approve of those beliefs and practices. There can be no compulsion in matters of religion. Just as no one can be forced against their will to listen to a discourse, no one has the liberty to obstruct the peaceful preaching of a message to others, either. And the preaching of Islam is an appeal to the spiritual conscience of men and women. As the Holy Qur'an says, 'the truth has come from your Lord: let those who wish to believe in it do so, and let those who wish to reject it do so' (18: 30). Divine Messengers in the past had repeatedly been asked to convey the situation as it is: "People, the Truth has come to you from your Lord. Whoever follows the right path follows it for his own good, and whoever strays does so to his own loss: I am not your Guardian" (10:109). For a century or so, the mainstream Ahmadis had relied on these sublime Islamic principles of freedom of human conscience and the liberty of individual choices in their extraordinary efforts in spreading the message of Islam-Ahmadiyyat among hostile opponents and other adversarial elements everywhere. Yet, today they are increasingly intolerant. 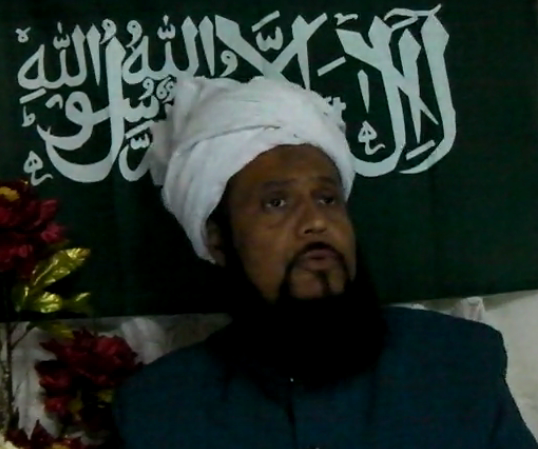 This is starkly visible in Kerala these days, even as the message of Allah, being conveyed through the Divine Reformer of our times, the Khalifatullah Hadhrat Munir Ahmad Azim Sahib (atba) of Mauritius, has recently reached the corners of India. 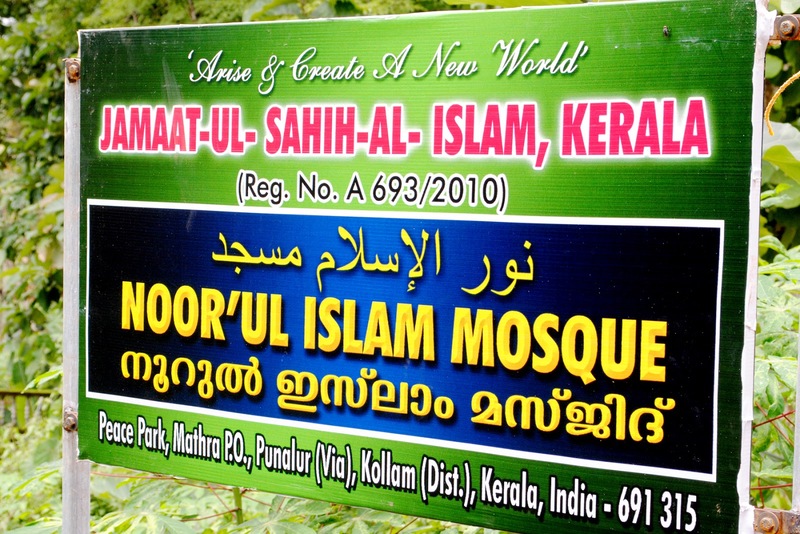 When the disciples of the Khalifatullah (atba) recently sought to convey the Divine message in the town of Karunagappally, the Ahmadi youths in Kerala (India) got enraged and wanted to extinguish the possibility of the message reaching the common Ahmadis. In his Friday Sermon of July 18, 2014, in the course of his expositions on the Holy Month of Ramadan, the Khalifatullah (atba) took note of the Tabligh Incident. 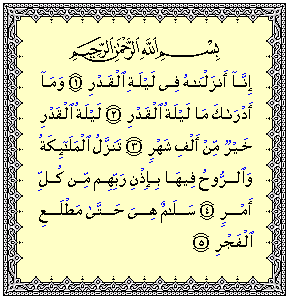 In the light of these verses of the Chapter Al-Qadr (the Destiny/Decree), it shall be good for us to recall once again how these verses were revealed. Therefore, the Night of Decree is a night filled with blessings and is very valuable. It is a great divine favour upon the Ummah of the Prophet of Allah (pbuh) when transforming acts of worship made during the Night of Decree into acts of worship (prayers) which is worth more than a thousand months of blessings. For the communities of the past prophets, there were no such designed night reserved for the descent on earth of Hazrat Jibreel (as) and the angels except for the Muslims whereby they send the divine peace on the Muslims absorbed in any act of worship and thus these angels prays for them and ask forgiveness for them. In His wisdom, Allah has hidden that special night in the last 10 holy nights of Ramadan so that the Muslims make efforts to seek it. In this way, their courage increase and they spend their time in worship for Allah so as to reap the blessings concealed in the Night of Decree. a) Our faith should be true and sincere. b) We must be prepared to show it by acts of charity towards our fellow human beings. c) We must be good citizens. 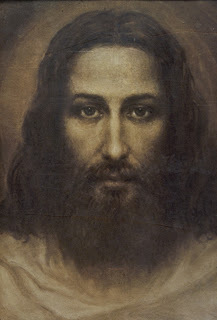 d) Our soul must be firm and steadfast in all circumstances. This is the criterion upon which all individual behaviour is judged as good or bad. This criterion is somehow the nucleus around which revolve all the elements that constitute the moral conduct of each person. 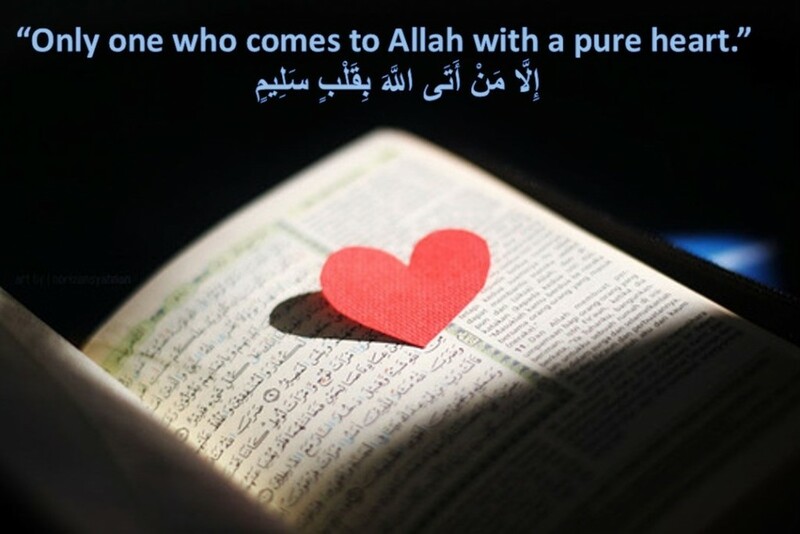 Before establishing moral precepts, Islam seeks to firmly implant in man’s heart the conviction that he is in constant contact with God who sees him at all times and in all places, that he can hide from the world, but not of Him; he can fool anyone, but not God, he can escape the clutches of anyone except God. Alhamdulillah, upon reaching Reunion Island, the Khalifatullah(atba) was warmly welcomed by the Vice-President of the Jamaat. There was a good interaction between the two and our respected brother took Huzur(atba) to refresh himself before the start of the mini-Jalsa Salana (half-day) to be held after Zuhr prayer. v Quran Recitation (with translation) by our brother Mohamed Ahmad. v An Opening/Welcoming Speech by the Vice-President of the Jamaat. v A speech by the Sadr Siraj Makin of the Reunion Jamaat axed on the role of women of the Jamaat Ul Sahih Al Islam in the modern society. v A break of 20 minutes spent in our members & guests from various religious denominations meeting with the Messenger of Allah(atba). o Diner & Salat-ul-Maghrib/Esha in congregation. v Quran Recitation (with translation) by our brother Ismaël. v Closing Speech by Hazrat Khalifatullah Munir A. Azim(atba). v Collective Prayer (duas) & refreshments. The Mini-Jalsa Salana ended at around 20.45pm, and everybody returned home satisfied and thankful to Allah that they have got the opportunity to meet with Huzur(atba) twice in a year. Alhamdulillah. Huzur(atba) and some of our members spent the day in Dawa at Sainte Clotilde. 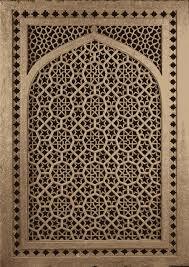 In the course of the Dawa expedition, he encountered a Mourid Imam with whom he got a clash on the matter of religion. Later on, he met with a Muslim (a Shiite Mullah) at Moufia and there itself was held a question and answers session on the death of Jesus Christ(as), to which many people assisted. The Khalifatullah(atba) exposed to him several verses of the Holy Quran and other proofs from the Hadiths but despite all this, the Mullah refused to acknowledge the truth exposed by the Holy Quran on the subject. He even sought to deviate the people who were witnessing the debate from the true viewpoint of the Holy Quran which the Khalifatullah(atba) sought to make apparent. Yaaa-’ayyu-hallaziina ‘aamanuu kutiba ‘alay-kumus-Siyaamu kamaa kutiba ‘alal lazina min qablikum la-’alla-kum tatta-quun. “O you who believe! Fasting has been prescribed for you as it was prescribed for those before you, that you may become righteous.” (2: 184). The word ‘Siyaam’ (fasting) as mentioned in the Holy Quran can also be called ‘Sawm’, which means ‘to abstain from something’. Abstaining from something does not mean only abstaining from food and drink, no! It also refers to abstaining from vain talks/too much talking; for on the contrary you should concentrate more on Quran reading as well as its translation, concentrate on the remembrance of Allah (Zikrullah) and supplications (duas). Abstention should also be made of sleep, whereby you devote yourself to the voluntary additional prayers when you are fasting during the day. During this period, therefore abstention should also be made of sexual relation with your spouses, and you must learn to control your carnal desires (nafs) and your tongue. This also allows you to multiply more good deeds, help the poor and spend a lot in charity. When you learn to understand this verse of the Quran (the above-mentioned verse) and you reflect on it, you shall see (deduce) that all the good deeds done in this blessed month (Ramadan) are all acts of worship which a believer does and he does it sincerely for Allah alone. He (the believer) accepts to abstain from all things which were usually licit for him during the previous eleven months and which are made (temporary) illicit for him from before sunrise till after sunset. 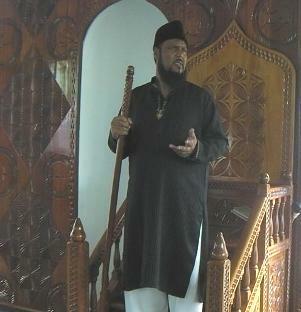 Wa maa khalaqtul-Jinna wal-’insa ‘illaa liya’-buduun. “I have not created jinn and mankind except to worship Me.” (51: 57). The month of Ramadan is once again before our door by the grace of Allah. It is a month which is awaited by believers because it contains many benefits and virtues. During the month of Shabaan, Friday sermons (Khutba) often focus on the value of this great month. 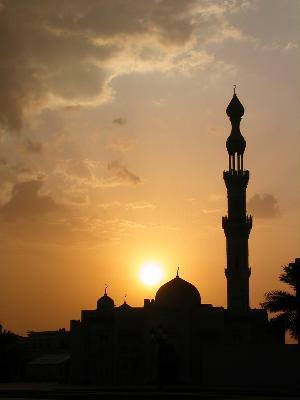 It is said that Ramadan is a month of worship (Ibadah). Verily, we must rather say that it is a month to increase our acts of worship (Ibadah) because we have been created with the purpose of worshiping Allah (swt). In addition to the virtues of this blessed month it is important that we know what is the purpose of these acts of worship during this month. In the Quran, Allah (swt) clearly defines the purpose of the fasting month of Ramadhan: “O you who believe! Fasting has been prescribed for you as it was prescribed for those before you, that you may become righteous.” (2: 184). Generally the word taqwa is translated by ‘fear of Allah’ or ‘piety’. The word taqwa is derived from the word ‘waqaa’ which means protection/protecting oneself. As the worldwide spiritual leader of Jamaat Ul Sahih Al Islam, I am deeply sad to learn that in this holy month of Ramadan where all Muslims around the world are fasting and also our brothers, sisters and children in Palestine are observing fasting and concentrating on all the instructions given by the Creator of the Universe during this holy month, how merciless on your part – the Israelites – that you do not respect this Islamic holy month and the Muslim faith. It is with a heavy heart that I learnt how Israel attacked among many others the Northern Gaza strip, hitting the centre for the disabled, killing two disabled women and wounding four. They fired a rocket and it hit these people without any warning. Later on, an Israeli strike hit the Tuffah district in eastern Gaza city, targeting a home and a mosque and killing nearly 20 people. In another strike which happened in the evening, three people were killed in Rafah in south of Gaza. And around dawn on Sunday a 14 year old Palestinian boy died when an Israeli air strike hit his home in Jabaliya. The bodies of five Palestinians killed in an Israeli air strike on a house are seen in the Shifa hospital in Gaza city. 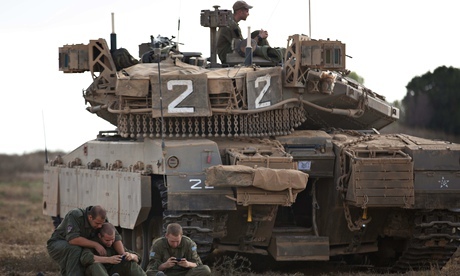 Israel Defense Forces stroke 60 targets in Gaza; 14 Palestinians killed overnight. 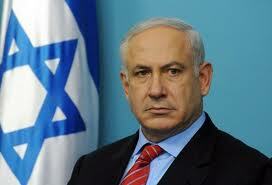 Is Israel preparing for additional long days of fighting, spreading the blood of the Muslims? 124 Palestinians were killed by an Israeli air bombardment since Tuesday 8th July and this has been confirmed by medical sources in Gaza. An estimated 900 Palestinians have also been wounded, with some losing limbs and others disabled for life. The majority of the wounded are children. 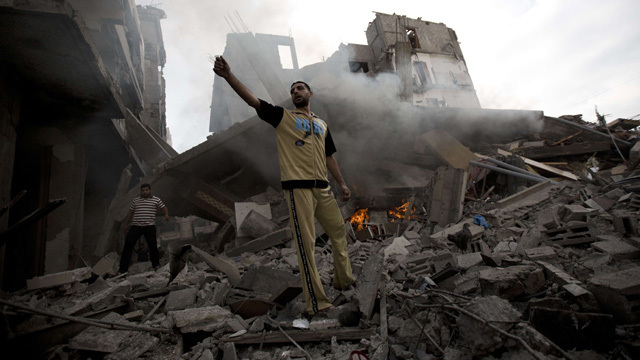 All of the casualties are victims of Israeli bombs dropped on Gaza since Tuesday 8th July. Videos have been circulated on the barbaric bombardment of Israel on Gaza, with also the Israeli Air Force dropping mortars on the roofs of homes before destroying them with bigger bombs. Terror in the voices of the Palestinian could be heard. And buildings are destroyed seconds later! What is the difference between state terror and any other king, except the magnitude? Do you take yourself as God on earth to take lives of innocent people in this way? I have seen many false gods on earth, how they were destroyed by the overpowering Lord when they dared to play God on earth! See a living example starting with ourselves. Once we wake up, we have to face many routines. First we need to breathe in clean air. Do we immediately think that it is one of favours we have been given? We are healthy – another favour of Allah, the Most Glorious – we have no difficulty to do so because our respiratory system works perfectly. As soon as we open our eyes, we see near and far images. Is this not a great favour of Allah? When we think, even for a minute, that there are at this moment, thousands of people who are blind! Did you know that the centre of the sight is found in the rear brain occupying few cubic centimetres?